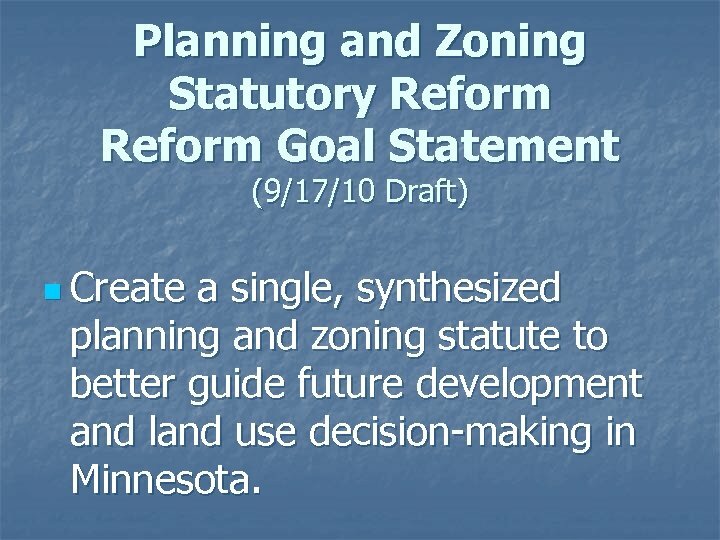 Planning and Zoning Statutory Reform Goal Statement (9/17/10 Draft) n Create a single, synthesized planning and zoning statute to better guide future development and land use decision-making in Minnesota. 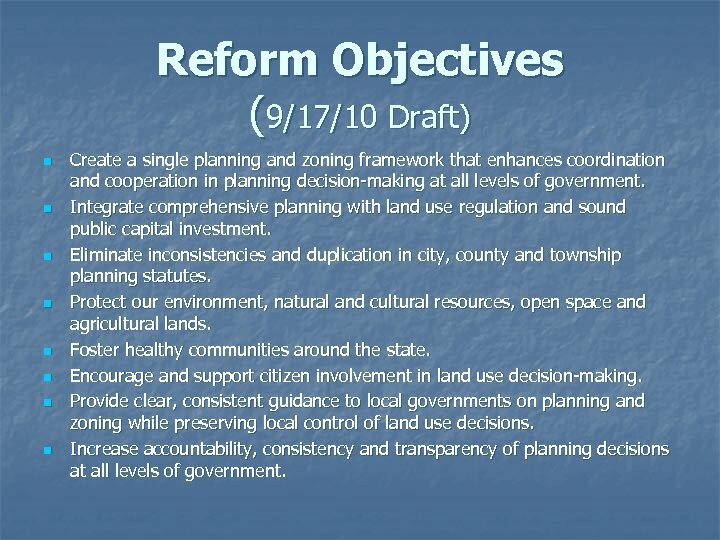 Reform Objectives (9/17/10 Draft) n n n n Create a single planning and zoning framework that enhances coordination and cooperation in planning decision-making at all levels of government. 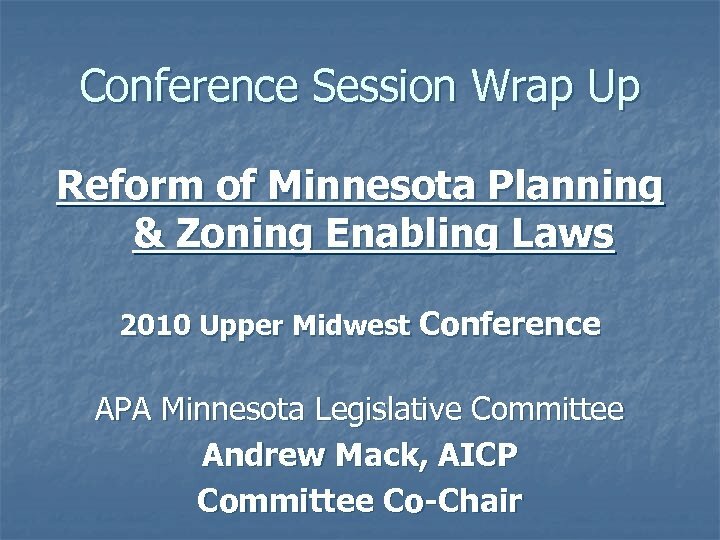 Integrate comprehensive planning with land use regulation and sound public capital investment. 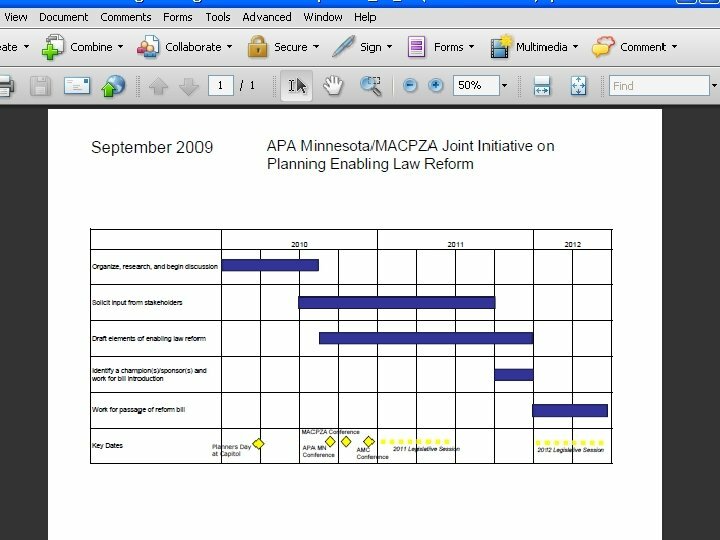 Eliminate inconsistencies and duplication in city, county and township planning statutes. Protect our environment, natural and cultural resources, open space and agricultural lands. Foster healthy communities around the state. 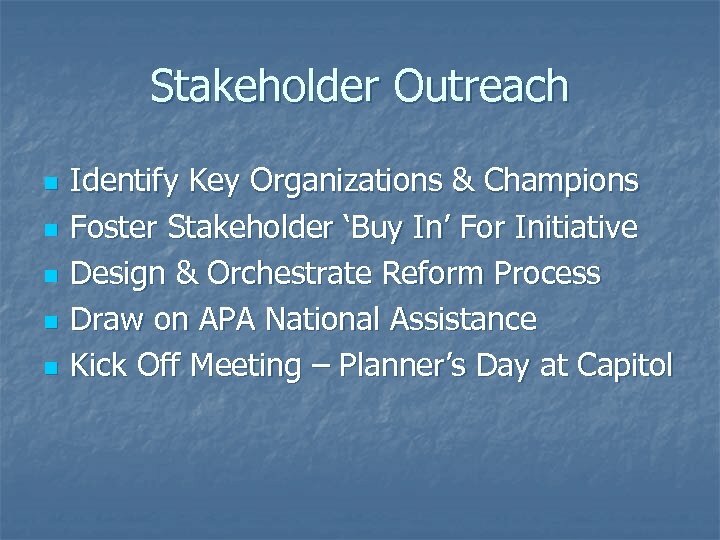 Encourage and support citizen involvement in land use decision-making. 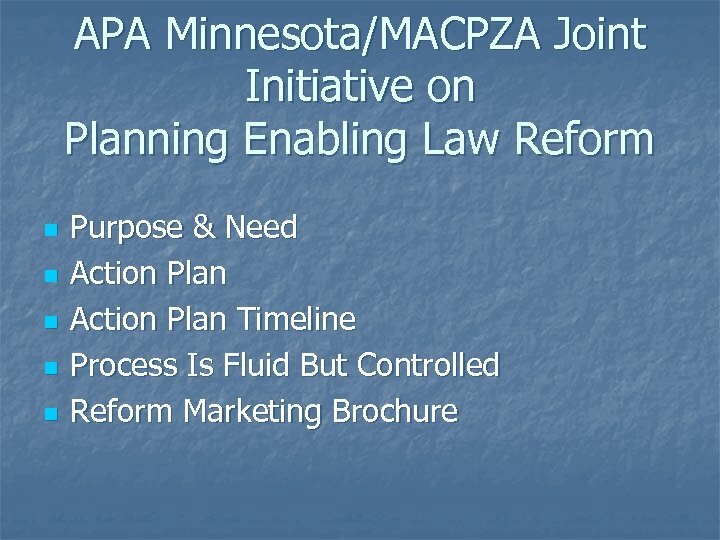 Provide clear, consistent guidance to local governments on planning and zoning while preserving local control of land use decisions. 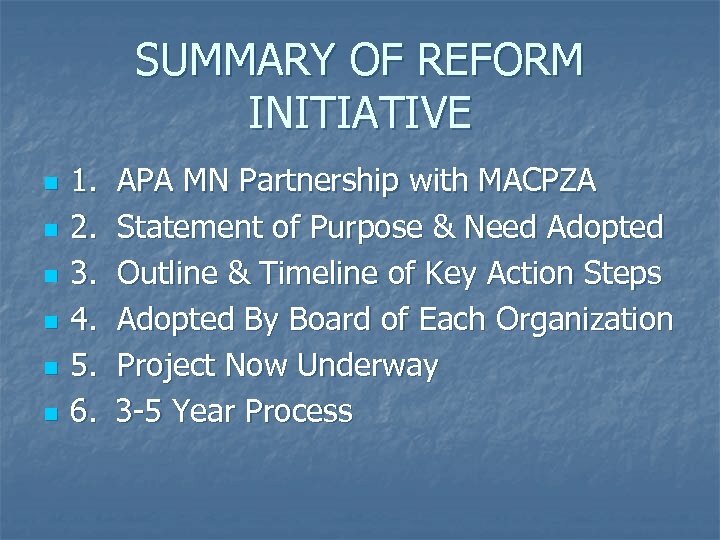 Increase accountability, consistency and transparency of planning decisions at all levels of government. 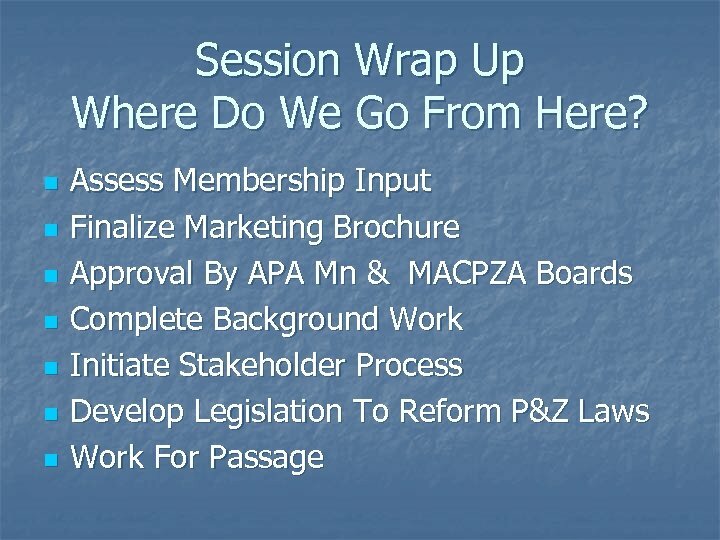 Background Work n n n Statewide Case Studies & “White Paper” Review of Other State Efforts (Pros & Cons) Minnesota Conflicts & Concerns Identified Input From Both APA MN & MACPZA Membership & The Planning Community Emerging Topics – Just A Start 1. 2. 3. 4. 5. 6. 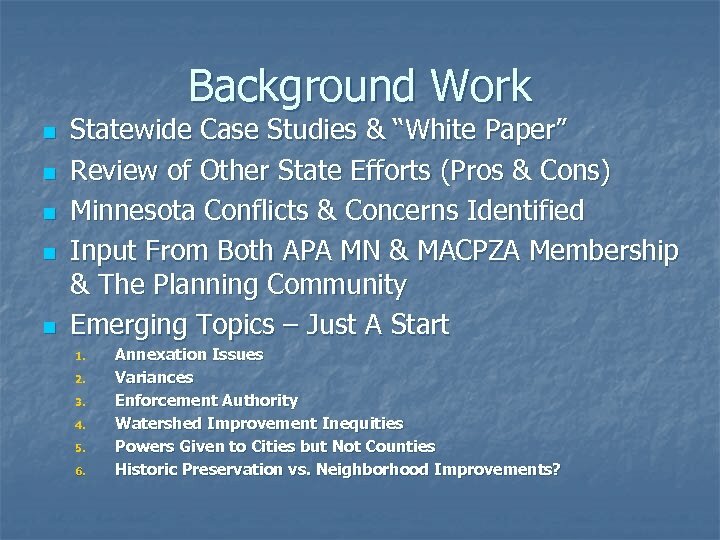 Annexation Issues Variances Enforcement Authority Watershed Improvement Inequities Powers Given to Cities but Not Counties Historic Preservation vs. Neighborhood Improvements? 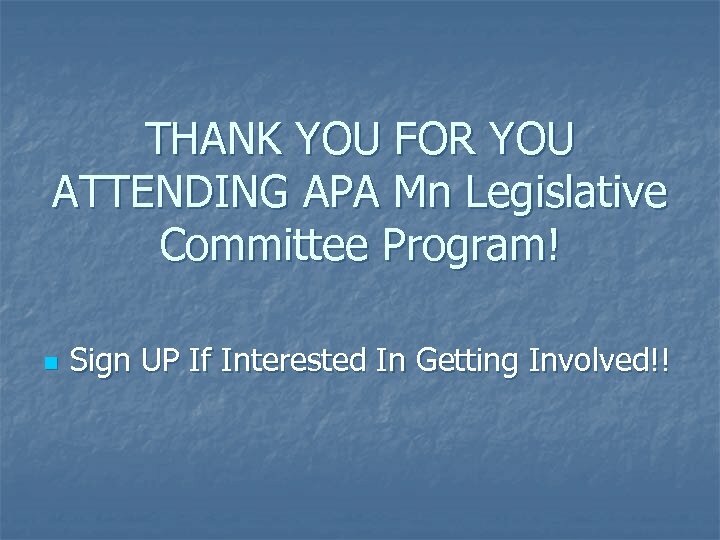 THANK YOU FOR YOU ATTENDING APA Mn Legislative Committee Program! n Sign UP If Interested In Getting Involved! !